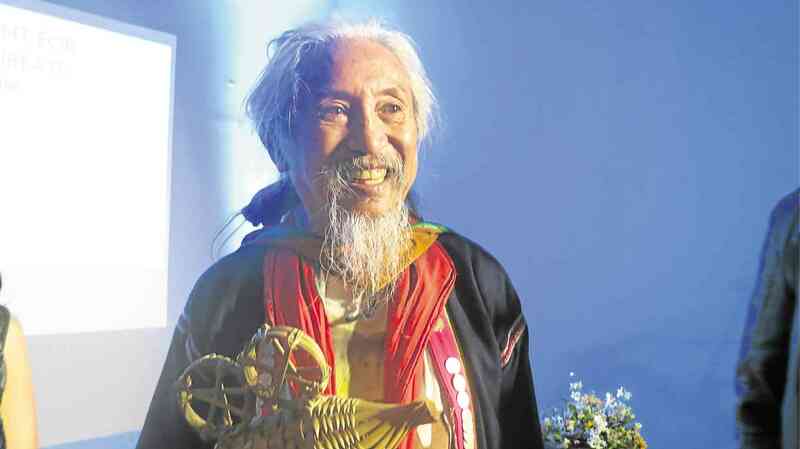 This was what filmmaker Kidlat Tahimik told a group of young Baguio-based artists, who came to Manila with him to attend and perform at the recognition night that the Dutch Embassy hosted for him on March 16. Not so long ago, in October 2018, Kidlat was conferred the Order of National Artist by President Duterte in a ceremony at the Malacañang Palace. Also present were Kidlat’s wife Katrin, fellow indie filmmakers Rox Lee, Khavn dela Cruz, Raya Martin, Treb Monteras, Jet Leyco, Sari Dalena and Keith Sicat, as well as producers Moira Lang, Achinette Villamor and Kristine Kintana, and National Committee on Cinema Chair Teddy Co. Asked for his advice to the industry in general, the National Tatay replied: “I’m not anti-Hollywood, per se. I just want to say that there are many stories that are not being told because most of us need to adhere to formula. In the end, Kidlat admitted he had his work cut out for him as a multiawarded film icon. “These awards encourage me to continue planting seeds; and the best way to do this is to closely work with young filmmakers, artists and writers.